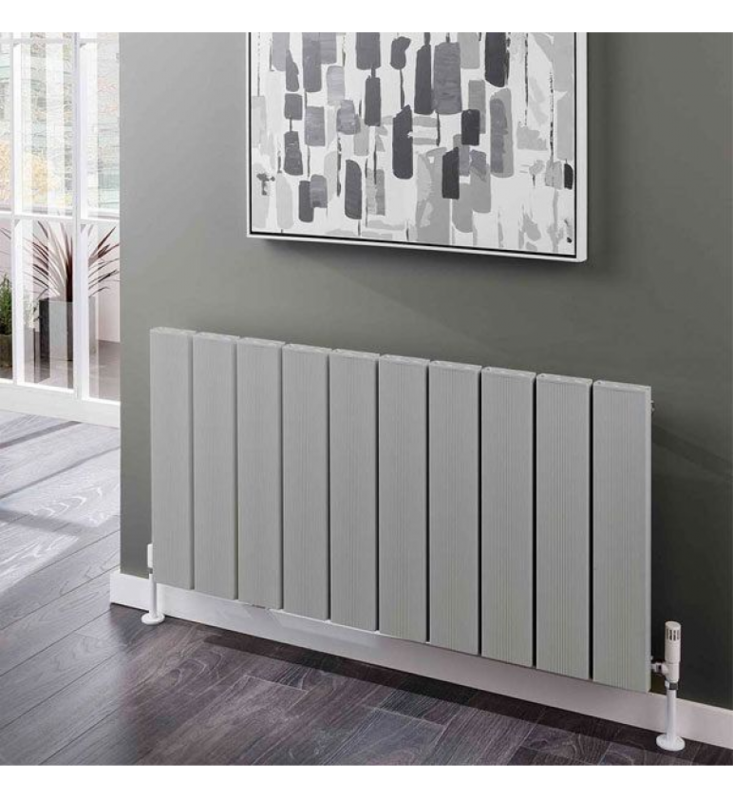 The Radiator Company Kura is a high output aluminium radiator with 120mm rectangular tubes which have small tasteful grooves. Horizontal & vertical models. Range: Horizontal - 600H, widths of 715, 1075, 1195 & 1435mm. Vertical - 1575 or 1825H, widths of 355, 475 & 595mm. Finish: White RAL 9016 and Grey RAL 9006 on all models, Black RAL 9005 on most models. Mounting: Suitable for wall mounting only; brackets included. Pipe Centres: Radiator length minus 15mm plus valves, and 30-75mm from wall. FREE Delivery: 3 - 5 Working Days to GB mainland, Highlands excepted. Image: Kura Horizontal 600H x 1195 finished in Grey RAL 9006.